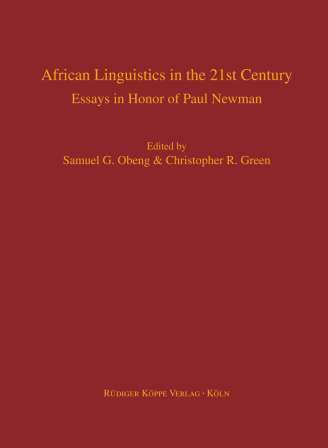 „Chadic and Hausa Linguistics – Selected Papers of Paul Newman with Commentaries“. Overall, the book is extremely interesting in many ways, especially the natural data-based analysis and varied theoretical approaches applied by the authors. The scope of the book, in terms of languages and topics covered, the influence of scholars, juxtaposed to the celebrant’s life and career, is simply amazing. However, it would have been even greater if all four of the African language families were represented to celebrate Newman san [sic] frontier.